The semester is almost over. I’d like to feel ready to launch a job search in the spring and focus on my finals now… What can I do over winter break? Congratulations, you are reaching out for help, which is one of the best ways to get started! To help you integrate your job search into your next semester, we have put together some recommendations that have worked for many students. First and foremost, use your break to think about all that you have learned and/or accomplished this semester. You may have discovered new strengths, interests, or people who inspire you. Reflect on what you have learned in the classroom, through extracurriculars, social activities, and/or work experiences and jot down your thoughts. To start building a plan for the spring, think about where you would like to be, who you would like to be with, and what you would like to be doing after Columbia. Then work backward, considering what you can do in the spring towards your goals. Write down all the ideas you have and don’t judge them. There is time to evaluate later and prioritize. We, at CCE, can work through the design process with you to have a plan developed over winter break. If you are looking to find a position close to home, take advantage of your break to reconnect with people. Write a list now of people you could get in touch over the break. Also while at home, write a list of people you could reach out to on your return to campus and plot into your calendar time to chat with these people. 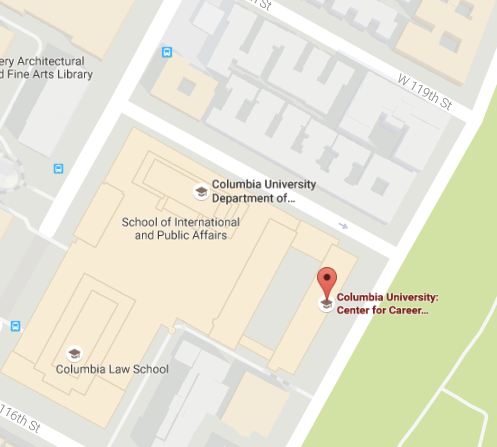 You may also want to get in touch with Columbia alumni working within your fields of interests to ask for an informational interview. A great way to do that is to use the LinkedIn alumni tool (linked.com/alumni). Aside from informational interviews, additional ways to build connections in the spring include employer events on-campus and off-campus, networking events, and through student groups. Take a look at our event calendars on LionSHARE and our website to learn more about opportunities to meet alumni and employers. Our calendar will be updated with Spring 2019 events in January. Check back regularly as events are added throughout the semester. Pro tip: Follow us on Facebook (@CUCCE) and Instagram (@ColumbiaCCE) to learn about upcoming opportunities to meet employers and alumni. Winter break is a great time to take a fresh look at your resume. Review what you wrote from your reflection on the Fall semester as it may inspire some updates. We have many online resources for building a strong resume including our career guidebook, Design Your Next Steps. Don’t forget! Our center is open throughout the break and our career counselors are available for in-person, virtual, or phone appointments. Schedule via LionSHARE a career counseling session to work together on any of our recommendations.